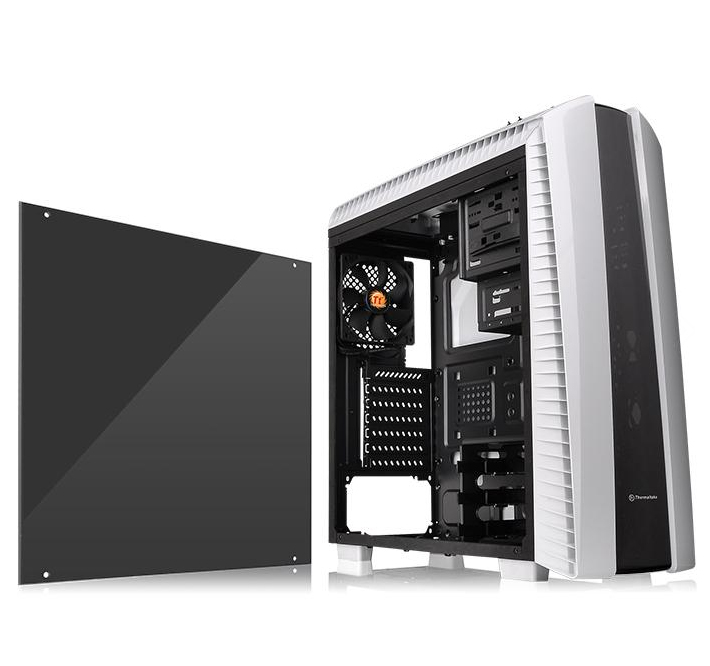 Designed for gamer, the glossy black front/top panels deliver stylish images. 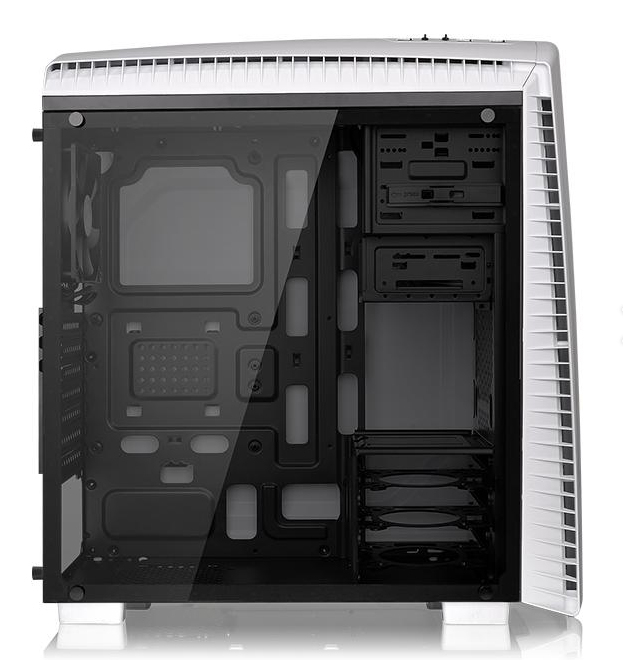 The heightened foot-stands at the bottom help enhance airflow, and a full transparent side window offers the ultimate view of the inner system. 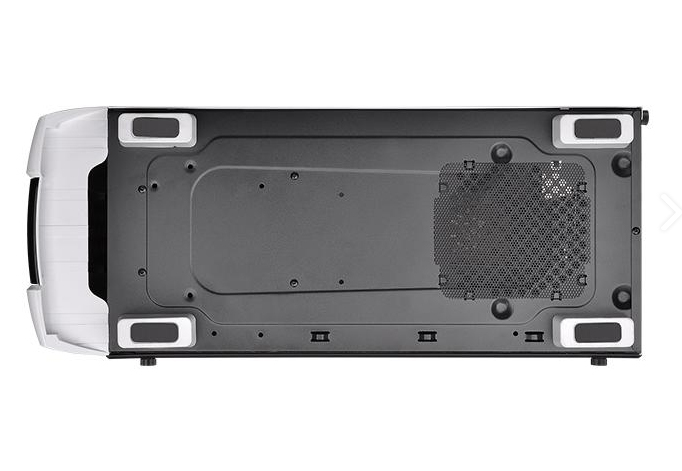 The innovative 3.5” / 2.5” tool-free drive bay design minimizes the hassles of installation/removal. 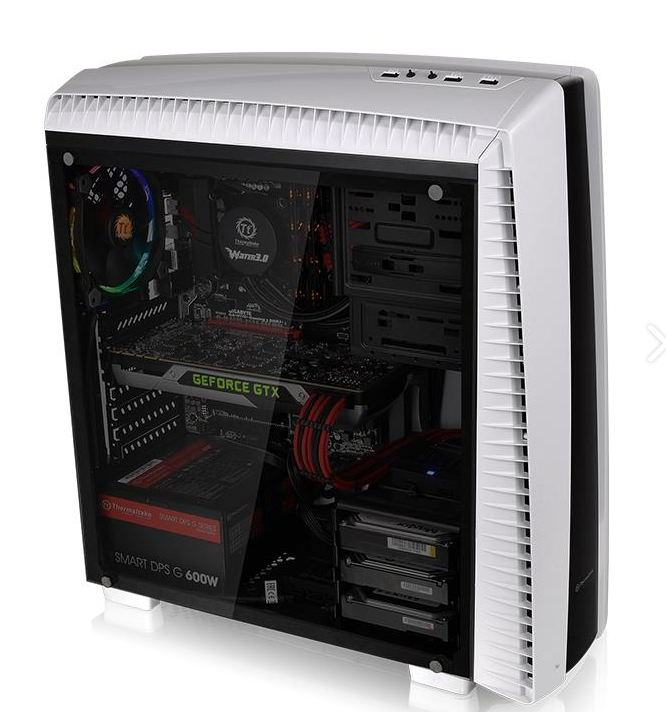 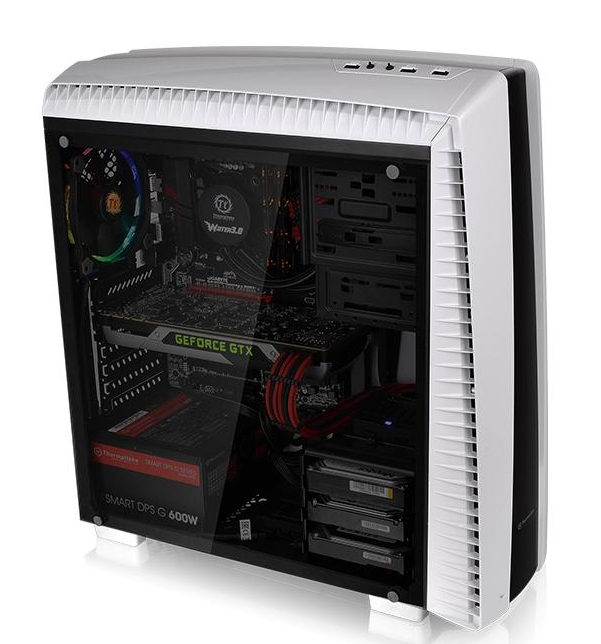 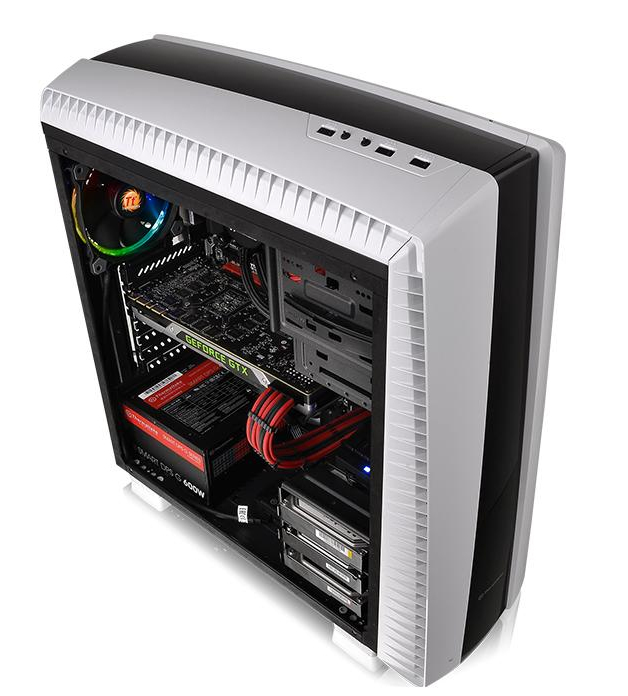 The trio drive bay concept of “4 + 2” offers a good ratio for accessories and storage devices. 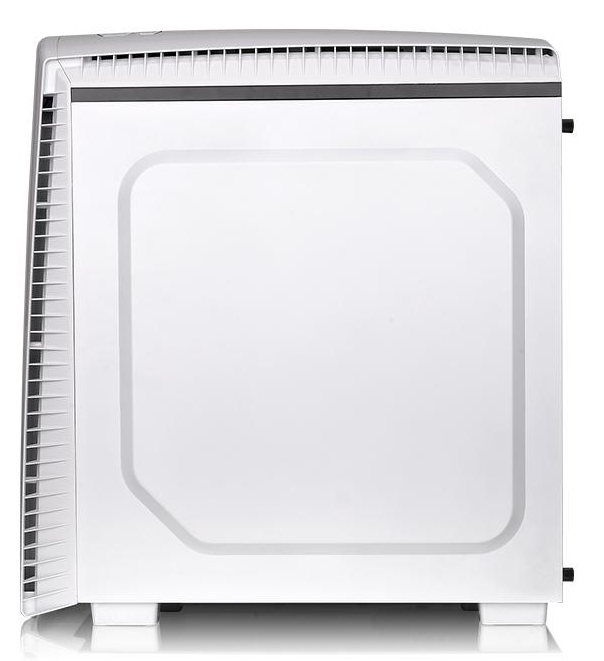 A preinstalled 120mm rear exhaust fan and two optional 120mm intake fans with an integrated dust filter optimize system ventilation. 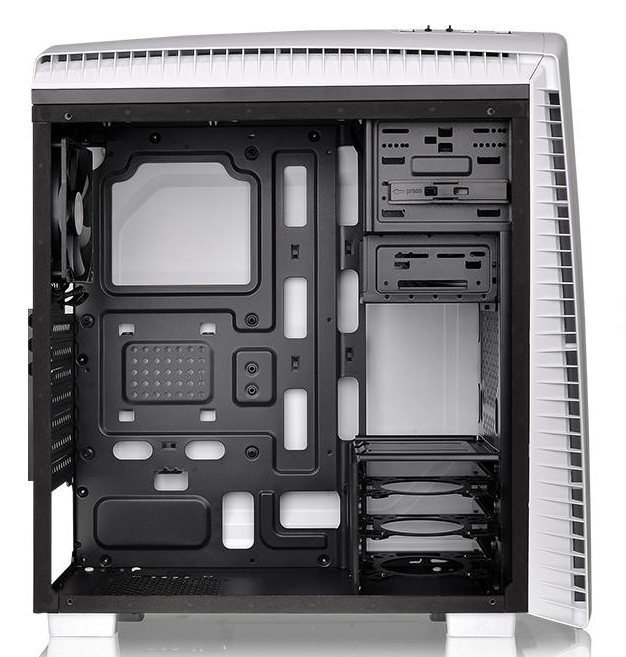 Pre-mounted holes support motherboards up to standard ATX. 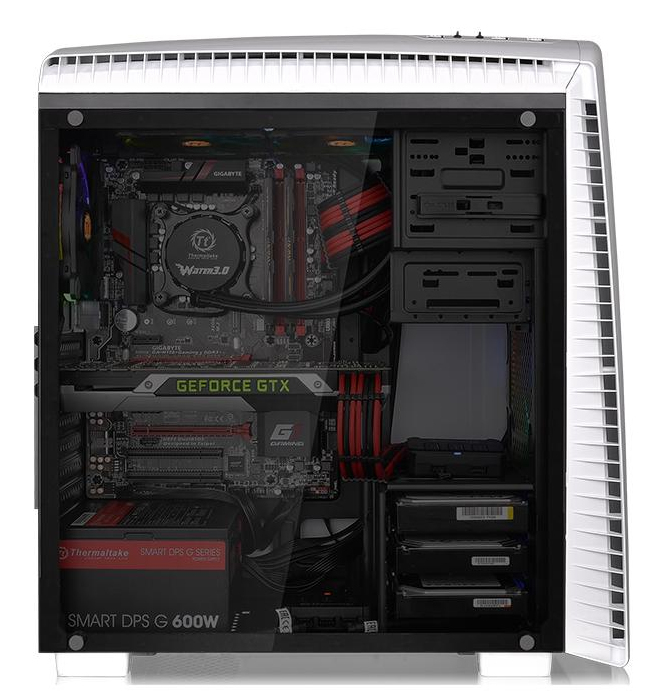 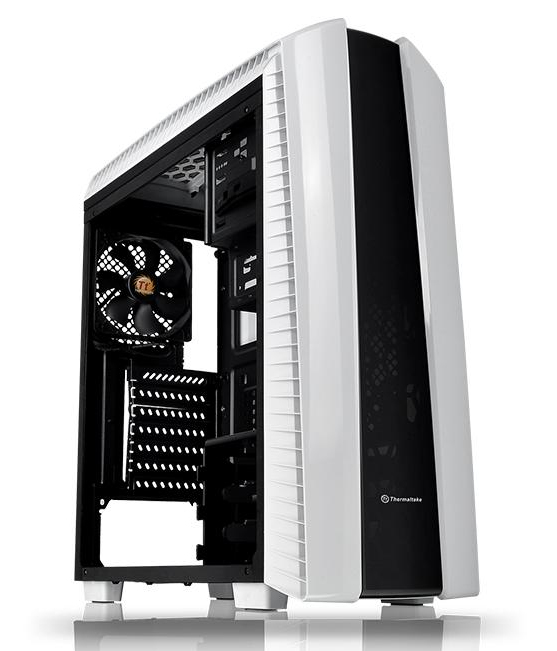 CPU cooler installations with up to 160mm, radiator at the top up to 240mm, and 360mm long graphic cards are supported. 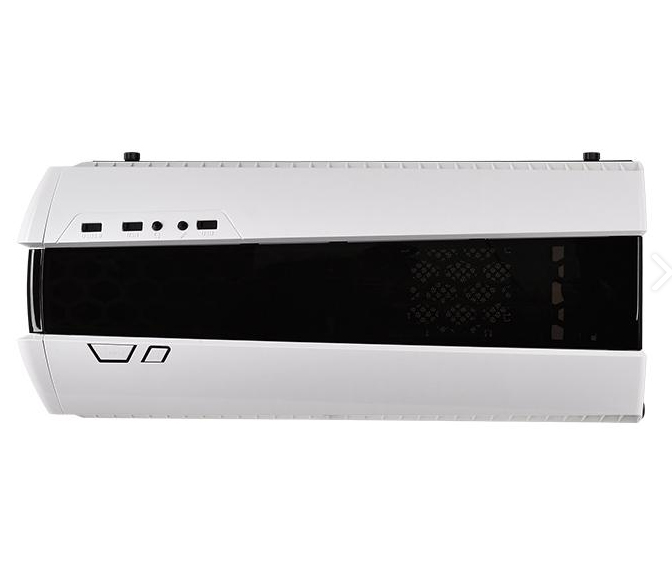 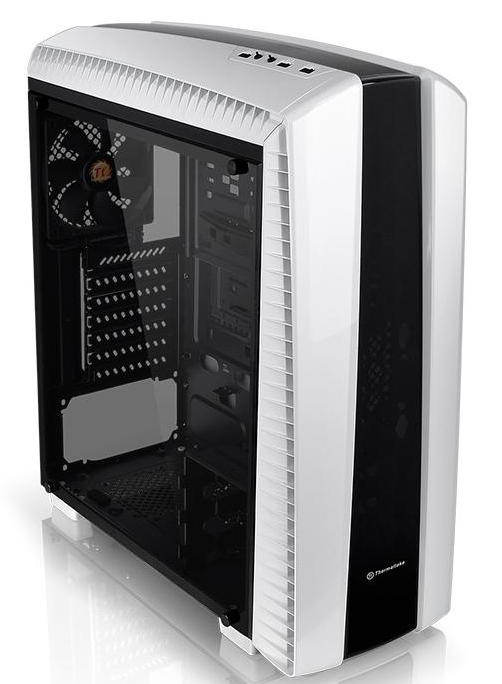 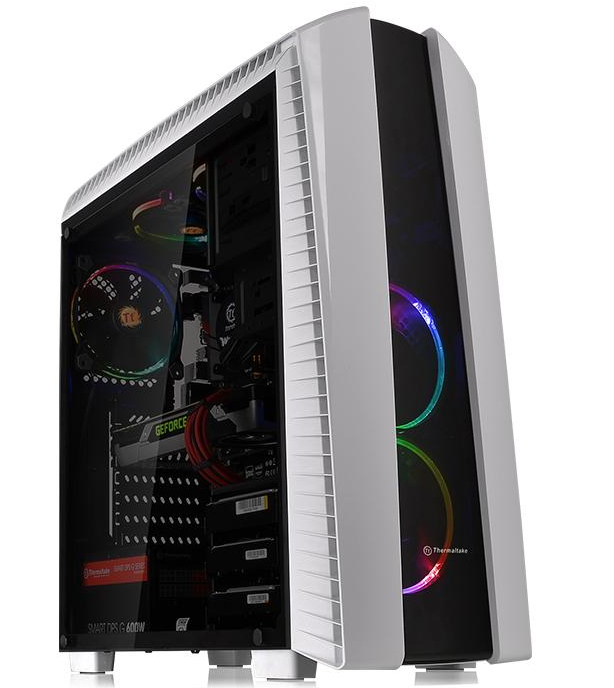 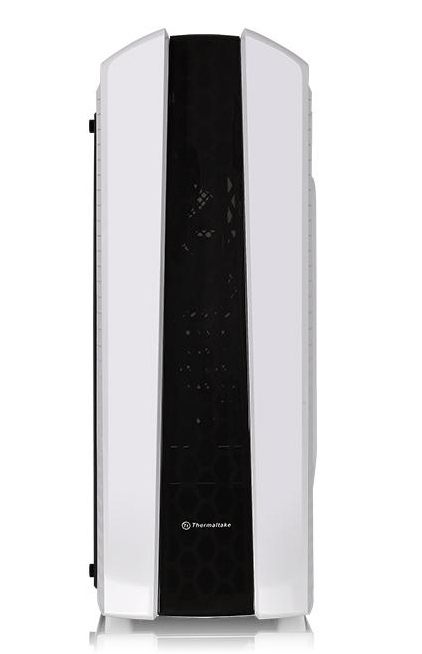 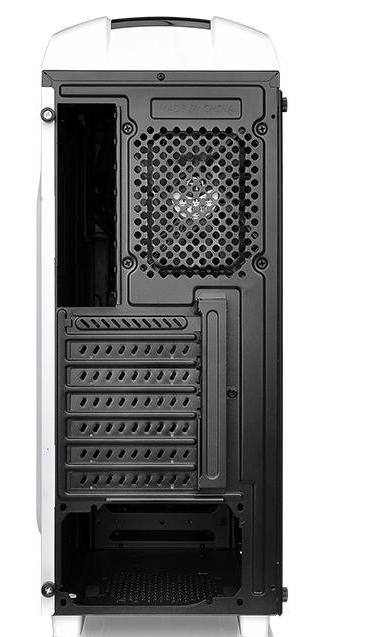 The new Versa N27 Snow is compatible with the all-in-one liquid cooling system without the need for extra bracket, supporting dual 120mm fans on the front/ top to enhance the cooling performance.